Egnyte is a HIPAA compliant secure cloud file service. If you’re using Egnyte, and have Java applications that need to access your files on Egnyte, you can create a “Helper” class to interact with the RESTful API Egnyte provides. 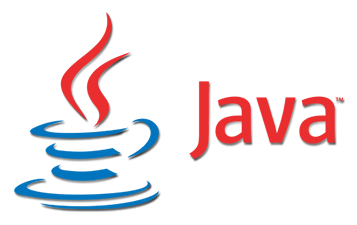 You could create methods such as “downloadFile()”, “uploadFile()”, “listFileOrFolder()” to use anywhere in your Java code. The API requires an authentication token sent in with the HTTP headers. So first you’ll need to obtain this token using your Egnyte account username and password. More details on obtaining this token is in the documentation referenced above. Once you have your authorization token, you can get started with making RESTful calls. Let’s define two variables in a Constants class, called EGNYTEAPI_BASE_URL and EGNYTEAPI_AUTH_TOKEN. The base URL should be “https://(your-domain).egnyte.com/pubapi/v1/”, and the auth token should be the simple alphanumeric string you obtained from Egnyte. You’ll need to use these in all the methods that interact with the Egnyte RESTful API. As simple as that! The method takes a full path to a file, and returns a java File object, saved in the system temp folder. If the file is not found, or there’s another error, the method simply returns a null File object. Note that the method will handle any URL-sensitive characters by percent-encoding them (https://en.wikipedia.org/wiki/Percent-encoding), so you won’t need to worry about spaces or other characters in the file name. This method will also take a full path to a folder or file (can include URL-sensitive characters, such as spaces) and will return either a null JSONObject if there was an error or if the file or folder was not found, or it will return a JSONObject of the listing returned by Egnyte. The uploadFile() method takes a java File object, and a full path for where you want the file uploaded to on your Egnyte account. It then reads the file, and uploads it using HTTP multipart data. Essentially using the methods above you have the basics down: listing a file or folder, uploading a file, and downloading a file. The same code from these can be used to do other actions too such as making a directory, or anything else that the Egnyte RESTful API allows. In my last post I covered how to server-side encrypt files in S3 using the AWS Java API. Unfortunately, if you didn’t turn on encryption from the very first day when uploading to S3, you may have some files that are not encrypted. This post will cover an easy block of Java code which you can use to server-side encrypt any existing files that aren’t already, using the AWS Java API. In summary, you need to loop through all existing files in a bucket, and see which one is not encrypted. And if not encrypted, you set the metadata to turn on server-side encryption, and have to save the file again in S3. Note: this may change the timestamps on your files, but this is essentially the only way through the API to save the metadata for a file to turn on encryption. Let’s examine the code. First you instantiate AmazonS3Client with the correct credentials. This should be tailored to your S3 authentication setup. You start by getting a list of all files in a bucket. Note that you have to loop through objectListing.getObjectSummaries() because only 1000 results are returned at a time. In case you have more than 1000 files, you’ll need to loop through the rest until you get all of them. Then you loop through the list of files. For each file you check if server-side encryption is already turned on by reading the existing metadata of the file. If not, you set the flag for encryption, and then essentially copy the file onto itself. This will save the new metadata, and will turn on server-side encryption. If you use AWS S3 Java API, and would like to see how you can encrypt files on S3, this post is for you. First of all, there are two ways you can encrypt files in S3. One is to encrypt files on the server side, and one is to encrypt files on the client side. With using the server side option, you don’t have to worry about too much. S3 encrypts the files for you when they are written to disk, and decrypts them when they are read, seamlessly. With the client side option, the client (your application) has to encrypt files before transmitting them to S3, and decrypt them after receiving the file from S3. In this post I’ll cover server side encryption. We opted to use this one because it’s just simpler, and seamless. You don’t have to worry about encrypting/decrypting files yourself, nor do you have to worry about the key. I’m assuming that you’re already familiar with the AWS Java API. For most things related to S3, AWS provides a class called AmazonS3Client. Once you have AmazonS3Client instantiated with your configuration, you will need to enable encryption in the matadata for each file you upload. Let’s examine. First you instantiate the File you want to upload, and AmazonS3Client. Next you set the metadata on the file. This includes setting the content type of the file (important because having the wrong content-type can cause issues down the line), and sets the encryption flag for the file. Then when you upload the file using AmazonS3Client.putObject(…), the file will be encrypted by S3 before it is stored, and automatically decrypted when it is retrieved, all by S3’s servers. And that’s it! Note that according to AWS Java API documentation, AmazonS3Client uses SSL under the hood so you don’t have to worry about transmitting unencrypted files over the network.